House of contemporary lines in final phase of construction with luxury finishes in Birre. 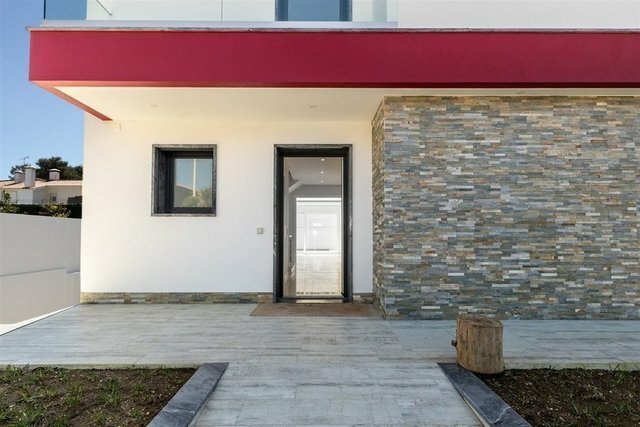 This villa develops in more than 300 square meters of construction divided into three floors. On the ground floor, we find a large room of 53 square meters, kitchen, full bathroom and a room that can be used as an office. On the upper floor there are four bedrooms, all of them en-suite. At the basement level, a multipurpose room, a service suite and garage for three cars. Outside we can find a heated pool, deck and garden. It is situated in a very quiet area approximately five kilometers from the center of Cascais and a few minutes from the highway and beaches.